If you are reading this I can assume that you are also managing to breathe whilst doing so but I wonder if you are breathing well? 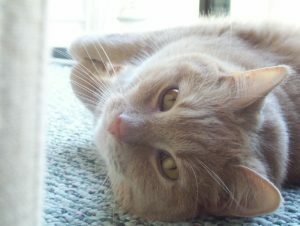 Have you ever observed a pet dog or cat or even a young baby or toddler and noticed how they breathe? You may have observed that their middles expand and contract with each breathe cycle. If you take a minute to notice your own breathing and you see that most of your movement is in your upper chest you are a vertical breather. Vertical breathing is a wholly inefficient way of getting oxygen in and out of the body. 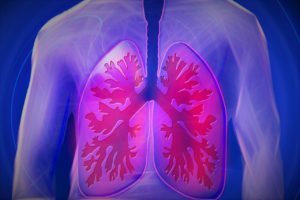 Your lungs sit inside your rib cage and their bulk is lower down in the rib cage; you can breathe more efficiently and more deeply if you get oxygen into the deeper recesses of your lungs with each breathe. If you are a vertical breather you are using only the top part of your lungs; you are shallow breathing. The muscles in your neck and shoulders will be involved in helping the upper chest expand and contract to get the air in and out of the top part of your lungs even though these muscles are not primarily designed for this purpose. If you have stiff neck and shoulders it might be because you are over using them for every single breathe you take – that’s a lot of misuse! 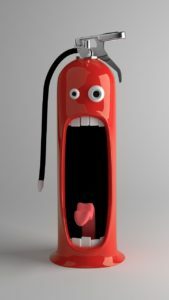 When we are in stressful situations our sympathetic nervous system kicks into action, adrenaline is released and we go into “fight or flight” mode. In this mode our breathing becomes shallow and more rapid. Conversely when we are relaxed our parasympathetic nervous system takes the lead and we go into “rest and digest” mode or even, if you’re lucky, “feed and breed” mode! Our breathing becomes slower and deeper. (at least it should). It’s no surprise that our breathing gets faster and shallower when we get stressed but did you know that we can also cause ourselves to become more stressed through breathing incorrectly? If you have got into the habit of sucking your tummy in and using a habitually shallow and/or quick breathing rate the messages this sends to the rest of you is that you are in fight or flight mode. Although this mode helps us to stay safe in an emergency our health suffers if we stay in this mode habitually. Learning how to breathe well can help us think more clearly, feel less stressed and act more rationally. It can also help us stay physically well. When I was at school and university I absolutely hated talking in front of my peers during class. I would avoid it whenever possible and if I did have to speak my breathe would run out mid-sentence, my hands would go clammy and my mind would go blank. It was ghastly. In my early 20s I was fortunate enough to have some much-needed public speaking training and one of the key areas taught was correct breathing. It transformed my experience so that now I am one of those weird types who actually quite likes talking to large groups of people. Nowadays if I know that I am about to go into a potentially stressful situation I will always make sure my breathing is good. It slows me down, it calms my nerves and it centres me. So many autistic children are in fight or flight mode a lot of the time – especially in school. Teaching children how to calm themselves down through taking control of their own breathing pattern so that they are getting deeper slower breathes could be helpful. As parents of autistic children we are often in fight or flight mode, vigilantly looking out for potential triggers which may cause problems for our children. Breathing well when we are in these stressful situations can help us stay calm which in turn means we’re more likely to help our children stay calm too. If you have an anxious little one, a teenager about to face exams, a young adult child about to have their first interview or you have a meeting coming up where a lot hangs in the balance maybe taking time to breathe properly could make a world of difference. If you’ve never tried this before sit comfortably with both feet placed on the floor. Place your hands on your lower rib cage fingers gently touching together in front of you. Breathe out for a count of 4, hold for 4, breathe in for 4, hold for 4. Repeat. If this gets too easy then you can increase the count for the breaths in and out. This one is for adults and teenagers. 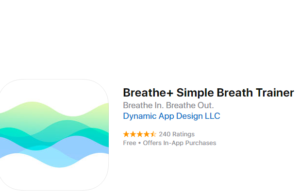 There are also lots of breathing apps that you might find helpful and this is one of many available. If you have come across any other breathing exercises which work well for children or teenagers please share them in the comments below – I’d love to hear about them.